We are delighted to announce that Tunafish Media will be sponsoring the Video of the Night at our annual Birthday Party, taking place on Friday 9th February 2018 at The Principal Manchester. Our annual Birthday Party, kindly sponsored by Express Solicitors, will celebrate another great year of supporting community activity across Greater Manchester. The event brings together over 400 passionate and dedicated Forever Manchester supporters to celebrate another great year of helping local people do extraordinary things together. Tunafish Media is an award-winning multimedia company based in Manchester specialising in corporate and promotional videos. As well as being a Corporate Partner, Tunafish Media donates 1% of its profits to Forever Manchester and its three co-creators are Ambassadors Sam Jones, James McDonald and Ric Brooks. As well as sponsoring this category, Tunafish Media will be capturing and editing the video of the night. The video of the night will be taken at our event and be used afterwards for people to reminisce about their evening. 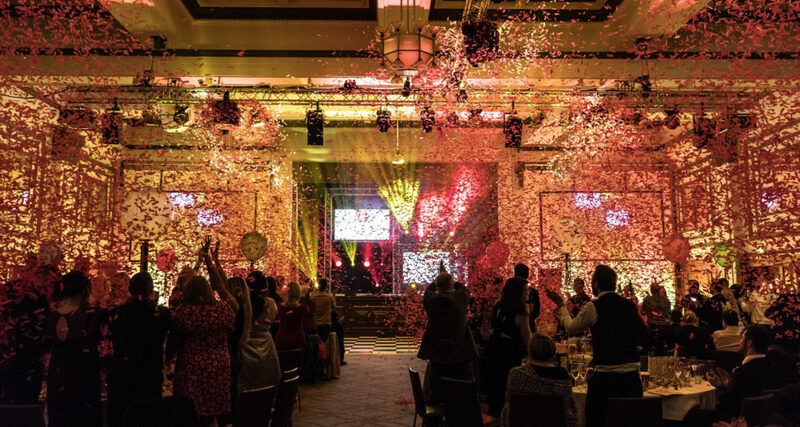 Guests at the Forever Manchester Birthday Party will be treated to a welcome drink on arrival, three-course meal, entertainment from community groups Forever Manchester has funded, an awards ceremony and a special guest DJ. Here’s some of the highlights from this year’s Birthday celebrations, filmed by Tunafish Media (our 2017 Video of the Night sponsors). Tickets for the Birthday Party are priced at £85 per person or £850 for a table of 10. If you are interested in buying tickets and/or booking a table please drop our Events Manager, Cheryl Hill, an email at: cheryl@forevermanchester.com. Individual tickets can also be booked here on Eventbrite, or through the ticketing form below. All proceeds from ticket sales will be reinvested in communities across Greater Manchester. Sponsoring Forever Manchester’s Annual Birthday Party is a great way to support Forever Manchester, demonstrate your company’s philanthropic spirit and commitment to strengthening communities across while gaining fantastic brand awareness for your company. If you are interested in finding out more about the various sponsorship opportunities available please view our sponsorship brochure or contact Jean Mills, Head of Business Development on 0161 214 0940 or at jean@forevermanchester.com.